What is empathy? Research on positive psychology in schools defines empathy as an emotional "response that is identical to or very similar to what another person is feeling or is expected to feel." A common metaphor for empathy is walking in someone else's shoes. On the other hand, empathy is a shared experience that removes that space. Feeling empathy is understanding what someone else is feeling, also described as being sorry "with" another. Dr. Neel Burton explains that empathy requires imagining what that person is feeling, seeing the situation from another's perspective. When you feel empathy, you cannot remain detached from another person. Can teaching empathy reduce bullying? Dr. Patty O'Grady suggests that bullying is the opposite of empathy. 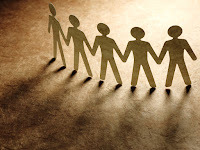 She says that bullying is a weak behavior dependent on complete detachment from another, while empathy is strong behavior present only when one has connected to another. Most importantly, they cannot co-exist. A Harvard study of 10,000 American middle and high school students attempted to make a clear connection between building empathy and reducing bullying. 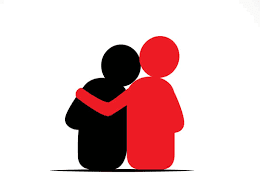 The researchers found that when students reported high empathy in their schools, they also reported fewer incidents of discrimination and threats to physical safety. These students also spoke of bullying in particular. Fewer bullying incidents occurred, and students were more likely to report bullying when it did occur. Empathy is a powerful behavior that cannot co-exist with bullying. Bullying focuses on maintaining power over those perceived as inferior. Conversely, empathy connects people into the universal human experience. From empathy, compassion emerges, and from compassion, altruism. Long-term, sustained efforts in developing empathy in our children is an important component in developing the safe, supportive, and caring environments where they can thrive.